Verify whether the Server FQDN and user name are entered in the specified format. 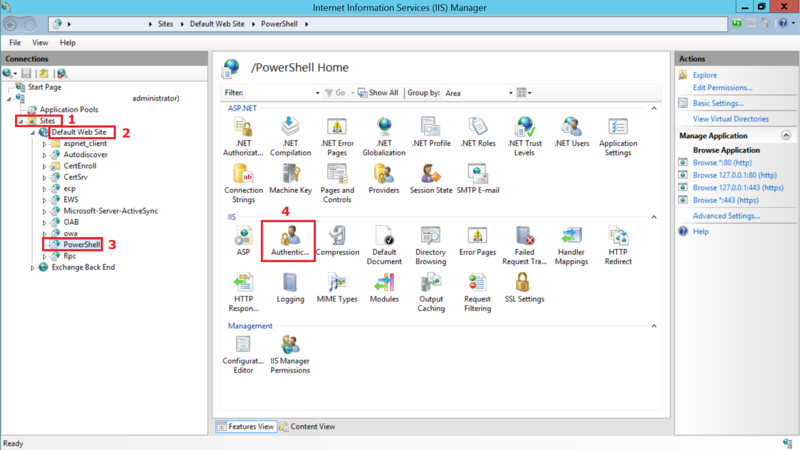 In the system running Exchange Server, Open IIS Manager, select Sites from the left pane. 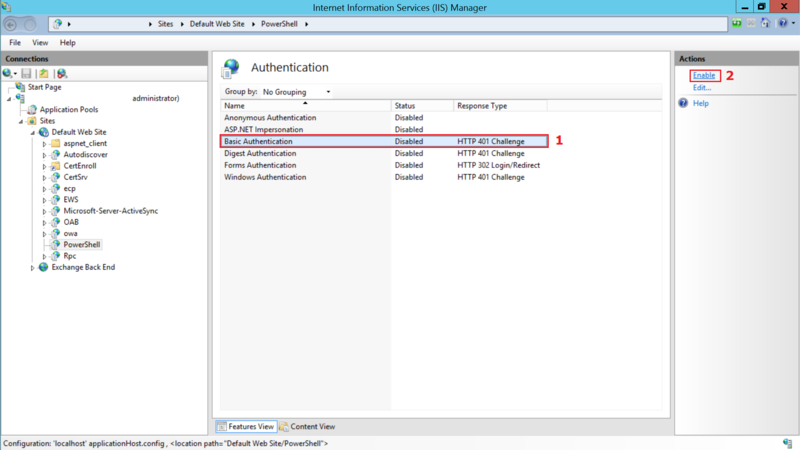 Then select Default Website > PowerShell > Authentication. Enable 'Basic Authentication' option by selecting 'Enable' from the Actions menu in the right pane and click Apply.